Most of the Applications use database as backend. Oracle and Teradata are few among them. 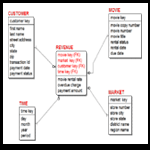 This article discusses difference between Teradata and oracle databases. 0 responses on "Difference between Teradata and Oracle"